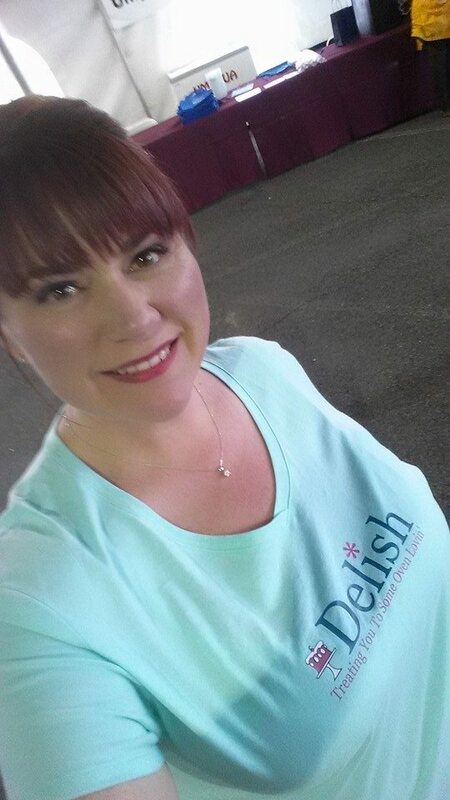 This weekend, Delish made its public appearance debut. Yay! 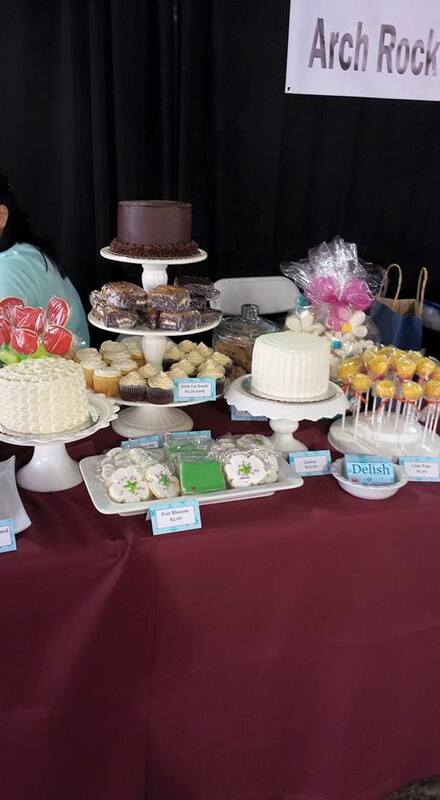 We had a booth showcasing our goods at the Jackson County Pear Blossom Festival in the Pear-A-Fare tent. It was our first venture into having our community sample our products (outside of word of mouth through friends and clients). We’ve considered doing booths for the last year or so. We talked about bridal shows, local farmers markets and pretty much popping up a tent on the side of the road to get our eats to a bigger audience. 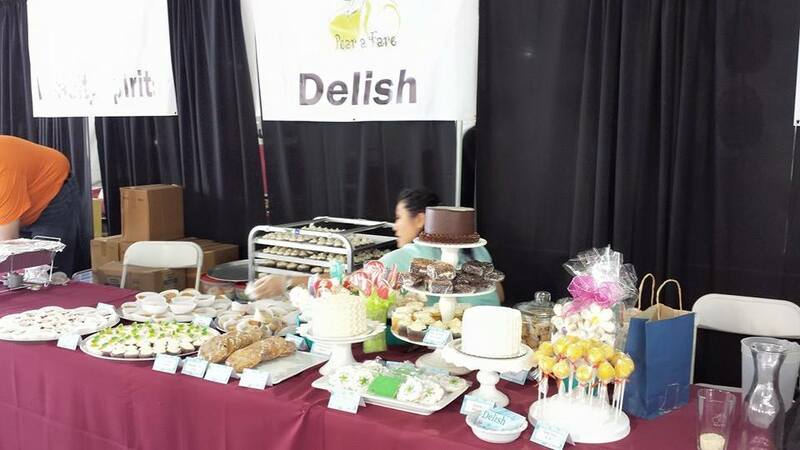 Pear-A-Fare had been on our radar because it matched local area wineries, breweries, and distilleries with local food creations. Booze and sweets? What could be better? While there was much enthusiasm, we didn’t really know what to expect. Here are some tips we learned in our first adventure that might help if you’re considering doing a show. 1.) Meet the Other Vendors. This was our favorite part. Lucky for us, our neighbors were a delightful couple of ladies from Arch Rock Brewing Co. When we realized our gear was far too much to fit on our small table, they invited us to take over there’s. (We are forever thankful to Kristen and Margie.) We also met an adorable girl from another bakery who was great about liking our Facebook page and telling others about our cute stuff. The distillery next to us let us sample some of their vodkas, including a coffee one. (Of course I bought a bottle, did you even have to ask?) Call it meeting and greeting, networking, or whatever you want, it was so much fun to chat up the other vendors and feel part of the group. We have shirts! Don’t we look super excited in our Delish-wear? Because we totally were. I’ll admit, I totally geeked out about it. However, there was more purpose than feeling cool. It also helped the other vendors remember who we were. Potential customers saw us walking around and we were able to direct them to our table when they asked. Even when I stopped by the store on my way to the event, the checker guessed I was on my way to the Pear Festival. 3.) Show Your Brand/Be Flexible. I had visions for weeks about how our table would be set, our samples would be showcased, and our plan to work together to make sure everything was prepped perfectly for our potential new clients. Er, until we showed up. We only had one table (not two as expected) and our heating set up had to be shut down due to fire regulations. Eek, Disaster! It took about three minutes to pull myself together and come up with a new plan. Tia working hard to set up while I take pictures and design the table. 4.) Give Them Your Best/Less Might Be More. Go figure Tia and I would have too much stuff. Our great worry about running out led us to have TONS of samples. Probably more samples than people in our small town. Okay, that might be an exaggeration, but we did have tons. That being said, we didn’t sacrifice quality. We put out our best product and the people said they liked it. 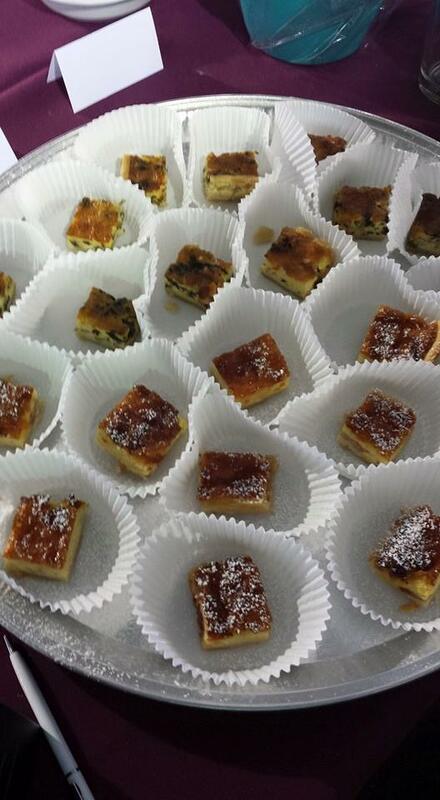 Two quiches to sample, Monte Cristo and Spanakopita. 5.) Get Details in Writing/Check With Previous Participants. The biggest lesson we learned, and might have saved some worry lines across our foreheads, was to get more details beforehand. Solidifying things in writing like how big is your space and where you will be placed. (We were sandwiched between two vendors with no room to move around. We also had to go through the other vendor’s space to get out.) We could have also learned what challenges to expect by checking with previous participants. While it may have been a bit chaotic in the beginning and we have sample galore to eat through after, we had a great experience. Only time will tell if it yields results and if more booths are in our future. Tell us in the comments what you think. What’s your favorite part about events? Do you like meeting new vendors? If you have been a vendor, what was the biggest lesson you learned?